VICTORIA, BC – Canadian Sport Institute Pacific (CSI Pacific) and Swimming Canada are pleased to announce Brad Dingey as the new Swimming NextGen Coach in Victoria, effective August 17. Dingey will take the reins from Ryan Mallette, who assumed the role of Head Coach of the High Performance Centre – Victoria last month after the passing of Randy Bennett. 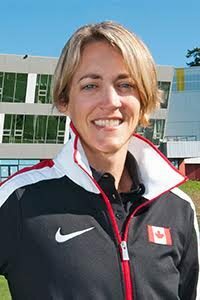 Dingey brings over 15 years of coaching experience to this important role, most recently as the Head Coach of the Pacific Sea Wolves Swim Club in South Surrey/White Rock for the past 11 years. During his tenure, he coached high level swimmers such as Hilary Caldwell and Richard Weinberger, who have since gone on to win multiple international medals. Prior to his position with the Sea Wolves, Dingey spent four years working for the University of British Columbia, during which time he earned his NCCP Level 3 Coaching Certification and a National Coaching Institute-BC Diploma. Originally from Stettler, Alberta, Dingey holds a Bachelor of Education from the University of Alberta. Through the Canadian Sport Institute NextGen programs, athletes have access to a world-class daily training environment, including sport-specific technical facilities. Supported by CSI Pacific sport science and medicine specialists, athletes and coaches have the ability to develop their performance to an international podium standard. Leading each NextGen program is a full-time high performance coach with proven expertise in developing athletes in the 5-8 years before their first international podium, while building a culture and lifestyle of high performance sport. The program is delivered in partnership between Own The Podium, the Swimming Canada High Performance Centre – Victoria, Swim BC, the Province of British Columbia, and the Canadian Sport Institute Pacific.